In January 2017 the Saving Samuel Godley project was already well underway and a great team of volunteers was scouring the archive for documentary evidence relating to Godley’s great story. The Duke of Wellington, died on September 14th 1852, aged 83, at Walmer Castle in Deal, Kent. 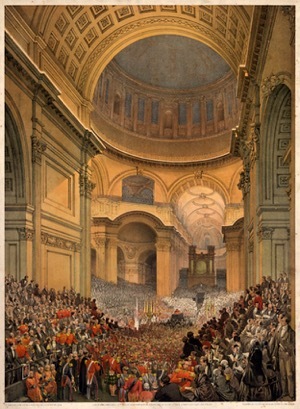 His illustrious career was honoured with a state funeral on November 18th 1852. He is one of only about a dozen non-royals to have been venerated in this way in the last 400 years. He was buried in St. Paul’s Cathedral, next to Lord Nelson. Despite falling popularity towards the end of his life an estimated million and a half people lined the funeral cortege. The complicated, ambivalent feelings surrounding the death of the ‘Iron Duke’ are encapsulated in Alfred Lord Tennyson’s poem Ode on the Death of the Duke of Wellington. 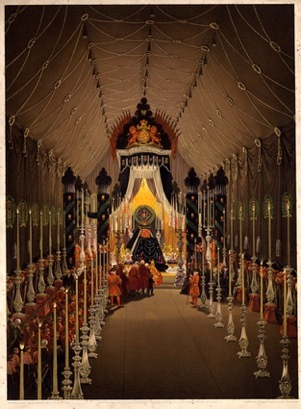 Before the burial, Wellington lay in state at Royal Hospital Chelsea for three days. An estimated 250,000 people visited the body here. 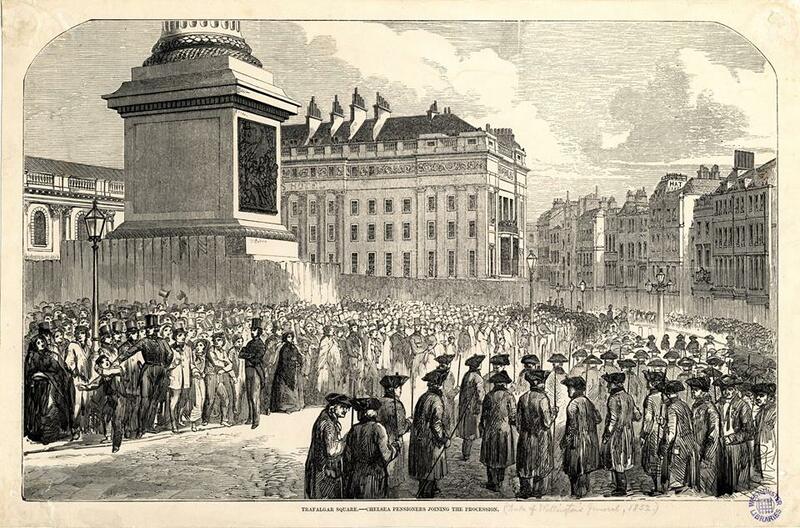 On November 17th the body was transferred to the Horse Guards. Frederick Mead, who had attended the funeral as a small child, recalled the presence of the Chelsea Pensioners in a recorded interview in 1940. He describes 83 Chelsea Pensioners present in the funeral procession, their number corresponding to Wellington’s age. He remarks on the effectiveness of their inclusion and says that the majority if not all may have served under the Duke while he commanded in India, the Peninsular or at Waterloo.